Join us weekly on Sunday evenings as Lord Sananda & the Cosmic Great Central Sun as the Divine Mother & Father God share with us special messages and attunements for the week. We meet at 5 pm Pacific, 712.432.0900, 856350#; for more information please visit LifeStationEarth. Christine Meleriessee & Mike Hayden ~ Vibratory Masters & Mentors for the New Earth, Terra Christa. Let us all take a deep breath and allow the Frequencies of this evening to fully come within each of you. I am Lord Sananda at your service. It is my pleasure to be here with you once again in the Cosmic Oneness. I see each of you is moving forward in your accelerations and the changes that you are making in your lives. Some of you may be feeling some Elements that have been coming up, but as long as you process these Elements, you’ll get through the moments that do not feel very good. I expand unto each of you right now to bring forth the Essence within you, to accept your divinity, so that you can get through the times that not fully being in the full focus of your Essence. Remember, each of us is in a transition and within this transitionary phase, it can be very difficult to fully move into the aspect that your Higher Self wants you to do. There can be times when it can feel like you’re going through the storm once again and you’re not quite sure how to get to the other side – so the processes that you bring up within you can be Elements of yourself that do not feel very good. But, the greatest purpose of this is your Highest divinity fully being actualized within you. We are once again moving into more transition. As more Elements occur for each of you. The acceptance of your divinity is moving into a new phase of existence. You must get accustomed to this and it has to be accustomed in all levels of your Being as you actualize the Full Body System of the Physical, the Emotional, the Etheric and the Mental – to allow the Spiritual to be the guiding Element within you. There can also be changes that occur for you that aren’t quite a part of the new Frequency that you are incorporating. It is a balancing act at all times, and sometimes this balancing act can be over-stimulated by Elements around you where you do not like what has occurred. This, my Dearest Ones, is part of the process. Within this process you start to feel the acceptance occurring within you and within this acceptance, there can be great changes. It is the process of these Elements activating within your Being that are in the important aspect to know that in each distinct moment – not everything is going to be the way that you think it should be, because of underlying circumstances. Remember, you are still moving in that Third Dimensional Reality, within the Fourth and into the Fifth. You can’t just jump from one to the other and expect yourself to be in the full capacity that you envision yourself to be. There are going to be moments in time that are a little bit conflicting with you but if you utilize your tools and allow yourself to bring into balance the accessibility of your Highest Essence, then you will get through the process. We don’t expect each of you to be perfect in each moment. Please realize this. In this moment, I bring to you Compassion, the Essence of Durability and the ability to continue to do the walk, no matter what the previous moments have brought to you. I embrace each of you in what you are experiencing. Let us all take a deep breath together. Within that deep breath, I want us to do some AAHH’s and fully remove anything that does not suit your Highest Purpose in these Elements. Anything that may have been happening to you, any thoughts that you’re having, any parts of yourself that are arising, that you’re not really sure what is occurring within you or circumstances that have occurred that you’re not really accepting fully within your life in the new Frequency that you are. Breathing deeply and Breathing out through the diaphragm. Allow yourself to relax into the Essence that you are, because you’re on a bridge. Within this bridge, you’re walking into your New World but sometimes you’re not quite there. We express to you this evening to be fully compassionate with yourself. Compassion is very essential in each moment that you are walking into the New World that you are creating, because within this New World, it can be quite enveloping – around you, within you. Outside circumstances can cause you to think differently then you would like to think. But in the truth of all of it, it truly is essential in the process for each of you in what you are going through. I express to you the Essence of Lord Sananda, the Essence of the Christ Consciousness, to fully come within you in this moment. Take a deep breath and allow it to expand. Let us all take some moments of reflection. As I send you the Ruby Red Ray of the Cosmic Color, to fully infiltrate within you and realize the Devotion that each of you have on your pathway. Within this Devotional Essence, you can expand yourself into the process that you are experiencing in all Essences of experience. I am here as Lord Sananda to express to you this Devotion deeply within your Heart, deeply within your Solar Plexus, deeply with all of the Frequencies that you are. Let it expand through your Being, through the next processes that we will be going through, as we bring in the Divine Mother and the Divine Father God of the Cosmic Great Central Sun. 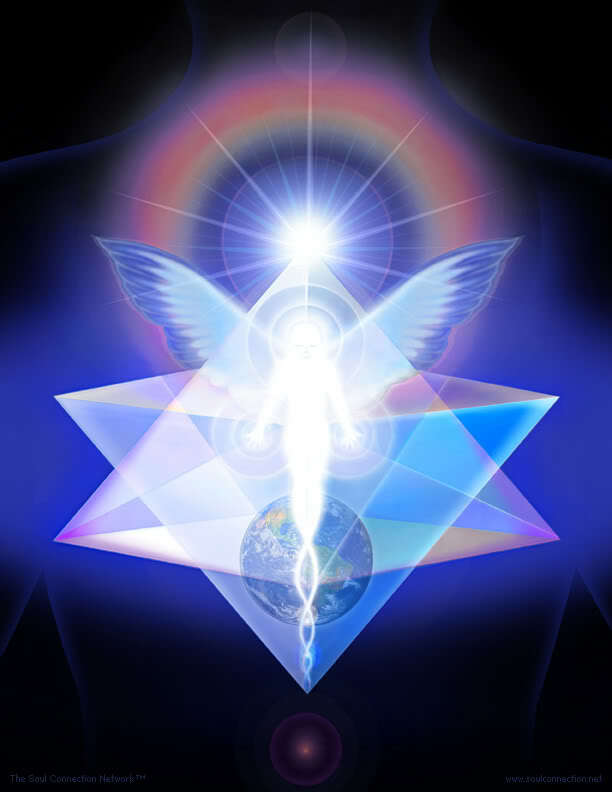 I Am Lord Sananda, expressing to you the Christ Consciousness of Oneness unto your Beings from my Being. Holy God of Hosts that We Are. We are the Divine Mother and the Divine Father God of the Cosmic Great Central Sun at your service. Breathing deeply. Allow the Essence that Lord Sananda has expressed to you to fully be within you to express the deepness of your Hearts through all Beings of Frequency that We Are. Let us breathe deeply through this experience. With the breath of life that you are, you express within you the breath of acceptance. Allow this acceptance to fully come within you in these moments as you express unto yourself the Devotional Essence that you truly need to fully experience in your life’s purpose. Feel it deeply at your feet. Feel the Ruby Red Ray of Devotion coming through your feet as you face it into your Earth Star. Feel this Devotion rising above into your Soul Star and feel them spinning together. Allow it to come into your Solar Plexus and blend with your Heart and your Thymus and all the Elements within you. Feel the Essence that you are. We express to you the deepest Compassion and Love to center upon the Essence of your Being, to express in this moment that it is time to take a deep breath and allow the Essence of Compassion to be fully within you. We bring you the Pink Ray of Active Intelligence to expand fully within you to allow your Frequency to blend with the Ruby Red. Feel the Heart and the Solar Plexus blending together and feel the Frequency running through your veins. Feel yourself express unto yourself, the Divinity that you are. Remember. Remember that this is all in a transition of Beingness. It is in a transition to accept all that you are experiencing at all levels. Oh, the breath will be your best friend in this moment. As the Ruby Red and the Pink blend together, allow them to expand in the Essence that they are. Feel the blessing upon your Essence in this moment. Allow yourself to expand now into the Pink Orange Ray of Compassion and Love with Kwan Yin. It is your bridge to the New Age. Feel that blending with the other colors. You are at a crossroads. Feel that crossroads but feel the Essence of yourself to be fully actualized within your Physical sense. Each moment of Creation in your life can be a bridge to the New Age and bring you the acceptance that is needed. Breathing deeply. Feel yourself walking the pathway of the new bridge. Feel yourself moving into that Higher Essence that you are. As you move from the Third Dimensional Energies into the Fourth Dimensional Energies. Feel that Essence. Now you fully walk into this beautiful space of the Golden Flame. Now you bring forth the Christ Consciousness within your Being and you feel yourself changing and molding into the Devotion you have created within your Essence. Deeply feel that coming through all parts of your Being as you accept yourself in a new form of a birthing that you are creating. See behind you, in fluctuations that are leaving you – aspects of yourself, and now we ask all to be in balance. As you fully incorporate the Christ within into your Heart, feel this Christ deeply within your Essence as we embody it unto you. You feel the remembrance that you are. Feel the remembrance that you are and all that you are incorporating. Feel the Essence and the completeness deeply in all experiences. Breathe deeply and allow this Essence to be fully calm in your Being. Because whatever you are experiencing or have experienced – look at possibilities and Elements that have come into play – there is nothing more important then the Devotion of yourself and the ones that are around you that will understand. Feel the Golden Ray now infiltrating your Heart. As it blends with the other Devotional colors and the Essences we have brought through of the Ruby Red, of the Pink Light, of the Pink Orange and the Golden Flame. Allow these Essences to blend together. Allow yourself to fully bring in the incorporation of this moment – of your Compassion, of your Mercy, of your Devotion, of the Christ that you are in the Frequency. Allow your Higher Self to now feel these effects deeply within. Feel them spinning within your Essences. Feel them going deeply into your cellular area. Allow it to go into the veins and the organs, and the muscles and the tendons. Allow it to go into all systems of the body and allow it to flow through your feet. Feel any debris that you may have been holding onto from any timelines to filter through your Being. As you incorporate these amazing colors of Light. Breathing deeply. Breathing deeply. As you bring in the acceptance and the fluidness of your Beingness fully within your Solar Plexus and your Heart. Allow the Heart and the Solar Plexus to blend together as the inner workings move into those Higher Frequencies. Now we incorporate the Magenta, which is the Fifth Dimensional Ray that blends the Solar Plexus and the Heart. Let’s include the Thymus. Feel the flowering of your Higher Self. Feel the Essence that you are. Feel yourself being in the presence of your Purest Light that you have ever accepted within your Being. Feel the deepness. Feel the Compassion. Feel the Love. Feel the acceptance. Feel All That You Are and all these things as you move into a new paradigm of Frequency within your physical body. Allow that Frequency to run through you. Allow yourself to feel the Essence and the completeness that you are. Feel. Feel that all is okay, no matter what has occurred because now you’re bringing in the Highest Frequency of the Essence of your Being. You are fully incorporating your Higher Self. You feel Him or Her expressing to you in the words of ‘AAAHHH’. Allow it to spin through you. Allow it to be you because this is You. This is You. Not anything else that has occurred – whatever it is, you are in the space of a momentum of your Essence, of your Being – fully accepting yourself in the totality that you are. It is our Divine pleasure, the Divine Mother and the Divine Father God, to express this unto you. It is just a moment to bring forth all these Frequencies unto this Being that you are. It is okay. It is okay. Whatever you have been experiencing or feeling or thinking because now it is molded unto the Highest Essence that is blending with the Golden Flame, with the Magenta, with the Pink Orange, with the Ruby Red and the deepest Pink of Love, within your Frequency then you could ever accept. Let us just breathe deeply. Breathe deeply and allow this to infiltrate through the rest of your Being. Take some deep breaths and allow those deep breaths to fully infiltrate within you as you have expanded yourself unto the Beingness of a Fifth Dimensional Frequency within the Heart, within the Thymus, and within the Solar Plexus. Allow that to infiltrate through the rest of your Being and the Acceptance and the Compassion and the Love and the Mercy and the Gentleness that we all share with each of you in these moments of transition. Take this moment, this recording and express it unto yourself continually because not only will you have transitions today, you will have them tomorrow and you will have them in your future. It is the process of your Devotional Essence activating within your physical self. Embrace what you have experienced. Embrace what you’re feeling. Embrace what your thoughts have been bringing up for you and accept this Love, this Compassion and this Divine expression from Divine Mother and Father God to know that you are a child of God, will always be a child of God, no matter what the circumstances may dictate to make you think otherwise. You are aspiring to so much within these physical bodies. It is our divine pleasure to share with you these Frequencies of Love as you, as our children, are truly walking the pathway within your own Frequency. Allow our Frequencies to assist you through the process. We know this is a challenge. We know it is not easy and we thank you for your sacrifice. Please accept our compassionate, merciful, beauty of your Light as we surround you with the Essence that You Are and are becoming in each moment. Take this day and express this unto yourself. IT will assist you in the next moments. I Am You, You are Us. We are One in the Name of YHWH and the Holy Creation of the Divine Oneness that We Are. So Mote It Be. Dearest Ones, this is Lord Sananda speaking – I thank you for being with us in these moments. This is a very special call. It is a call that is going out to each of you. We want you to know that our hearts are within your hearts, as you are transitioning to much more than you could ever imagine. We are deeply honored that you are walking on this Earth at this time, and we all walk with you. I am Lord Sananda at your service, representing the Christ Consciousness that you are fully embracing in these moments of Light.